The KB Quest Wacky Khaki Booster Deck increases the Ranks of the military bunnies to Officer Ranks, giving even more advantages to the highest ranked bunny!New and crazy cards include Army Of The 12 Bunnies (which will hunt you down any hour of the day), Locked In (which forces players to use their Top and Bottom Run cards) and The Lonely Ranger (who roams free)! 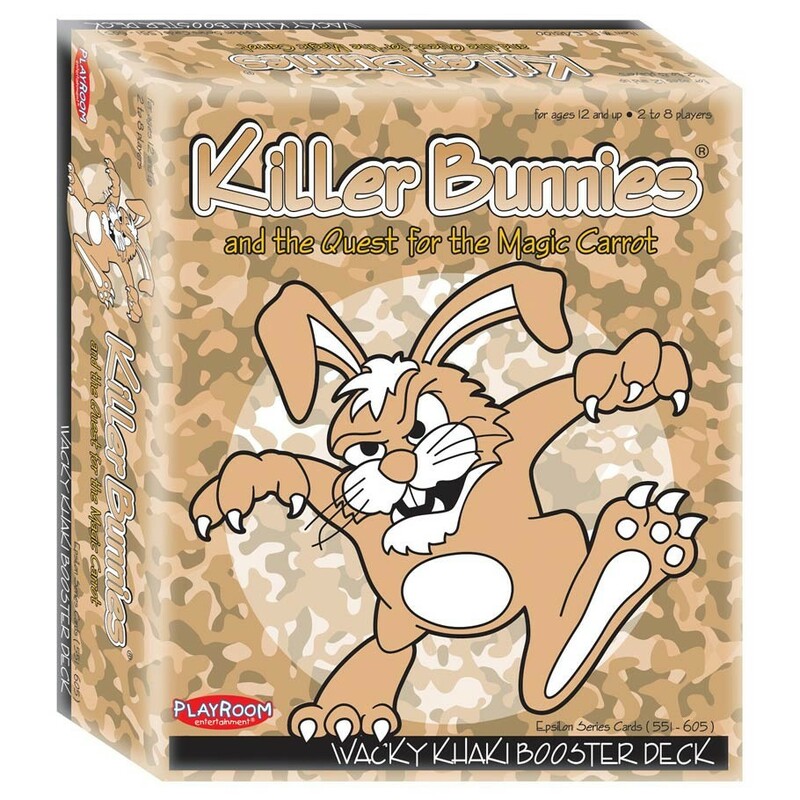 Avoid a crippling blow from Mad Bunny Disease or psych-out your opponents with Truth or Hare! Why not "seize the danish" with Carpe Scriblita or move a weapon targeting your bunny to an opponent's bunny with the help of the Sky Waitress? With a whole new off the wall arsenal of cards to use against opponents, this expansion is indeed wacky!